No need to mega-dose! 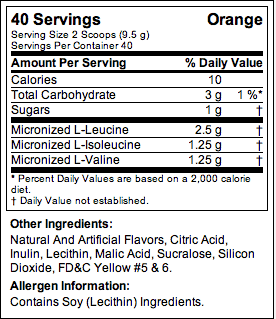 Each scoop contains 5 grams of BCAA’s. Instantized powder mixes quickly in water and stays dissolved. No bitter taste like other BCAA powders. Buying it won’t break your budget ($.57 per serving). Who Should Take BCAA 5000? Men and women who work out intensely to build muscle, lose fat, and stay in great shape. Dieters or anyone else who wants a calorie free workout drink. 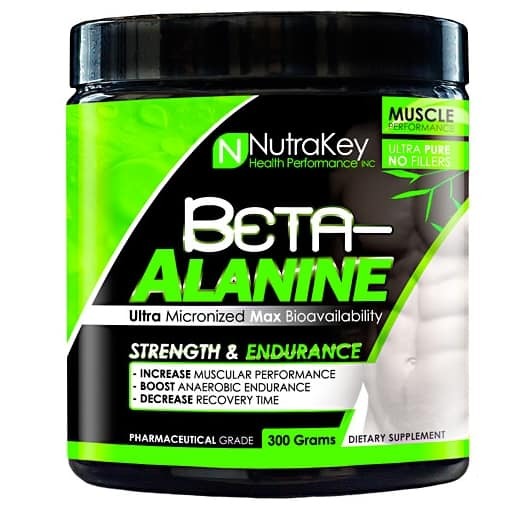 Anyone who wants to ensure that they are giving their muscles the nutrients they need to stay in an anabolic (muscle building) state all day long. Those who want to reduce post-workout soreness and speed recovery time between workouts. BCAA 5000 is a great-tasting, workout powder. 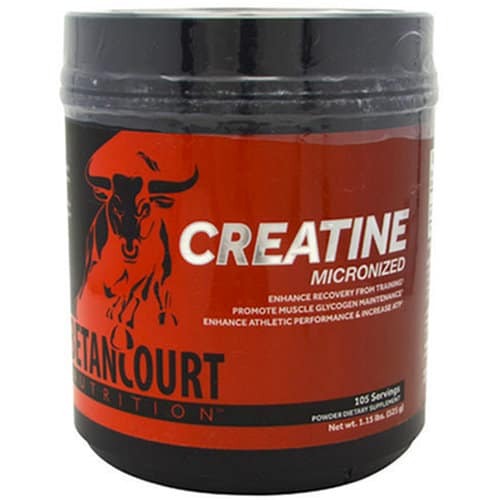 Each serving is loaded with 5 grams of muscle building branched chain amino acids in the exact ratios used in clinical studies. You don’t have to worry about getting any worthless fillers or sub-par ingredients that don’t have any benefits. Unlike many competing products, BCAA is instantized which ensure that every serving dissolves completely in water with just a few stirs of your spoon. 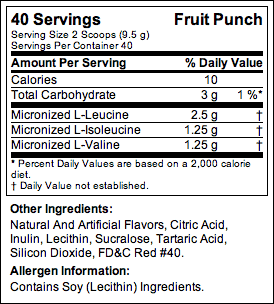 It’s available in 2 flavors: fruit punch and orange. Both are refreshing tasting, especially when mixed with cold water. I like to take 10 grams (2 scoops) of BCAA 5000 before my workout. I always notice that they give me more energy whether I’m doing hill sprints or kettlebell swings. Taking 1-2 scoops post-workout also helps to significantly diminish post-workout soreness too. 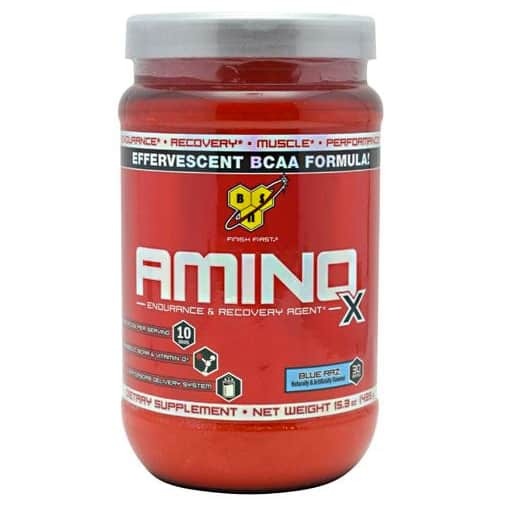 Another, less talked about taking a branch chain amino acids supplement like BCAA 5000 regularly is fat loss. Abdominal fat especially. My wife and I both notice that we tend to get lean faster when we drink an extra serving every day when we’re dieting to lose fat. Since each serving contains 0 grams of carbohydrate and only 10 calories, we don’t have to worry about it spoiling our diets too. Flavored: Consume 2 Scoops of Instantized BCAA 5000 Powder between meals, 30-45 minutes before workouts, and/or immediately after workouts. 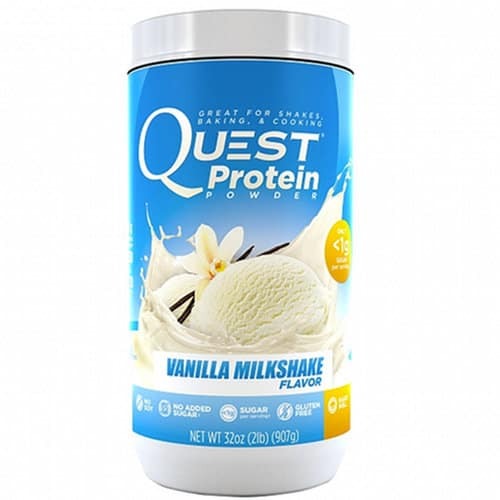 TIP: Try adding some to your favorite protein supplement, MRP, or weight-gainer. Combine with a sensible diet and regular exercise. 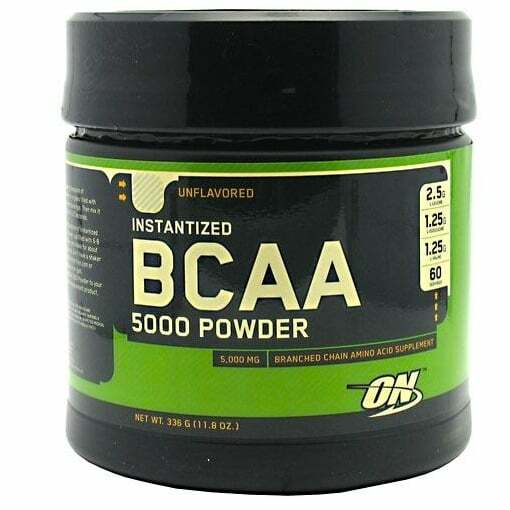 Be the first to review “Optimum Nutrition BCAA 5000 Powder – 40 Servings” Click here to cancel reply.